Our Focus is to align the requirements of your flight itinerary with the aircraft that can deliver the best performance for your charter flight. Discover a world of convenience and comfort when you charter a jet with Stratos Jets. With access to thousands of well-maintained aircraft and an ability to choose from a far greater number of airports than commercial operators, we truly put the world at your fingertips. Our agents will coordinate private jet services that reflect your unique travel needs by offering flight-planning solutions that work around your schedule. Flying privately gives you the freedom to choose from a range of aircraft equipped with the latest inflight amenities, ensuring your private jet charter experience is a memorable one. Get Ready to Soar Higher™ with Stratos Jets! 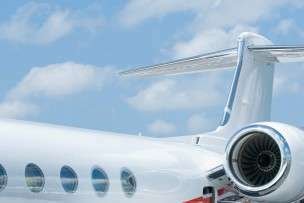 For private travel plans that call for an extended stay at your destination, one-way charter flights could save you money the next time you charter a jet. Search the the largest database of one-way jet charters! 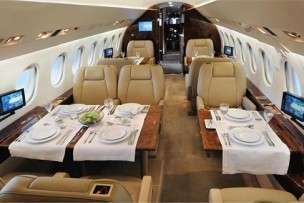 A comprehensive database of private jets, turbo-props and commercial aircraft that are available for charter. Learn about aircraft performance, typical seating configurations, storage capacity and more. Learn about the destination cities that are the most popular for jet charter travel. This directory offers a historical background, popular dining and hotel suggestions along with must-see attractions and sights. Find available one-way private flights and charter aircraft based at airports throughout the world, research runway length, airport services, contact information of fixed base operators, driving directions and more. We have been using Stratos for a couple of years now and appreciate their dedication to using only the safest charter operators. Just completed the front end of a back to back for the Christmas Holiday. Thanks to Kerry for helping us get to where we need to be ! Very detail oriented company. Pilot's were very professional. See you next time! The whole team is always professional and great to work with. You can tell there's a lot of integrity and experience in the company. Thank you folks!! The flight was excellent, 24 hours prior Sarah helped us with a departure window and the crew and FBO were really accommodating as we were running behind. 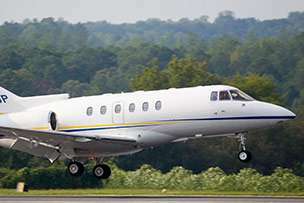 Really nice Hawker 900XP nice pilots and smooth flight. Cant give enough praise to the Stratos process and ease. I booked a flight for my good clients and amazing service from pre departure to arrival. Friendly staff and always easy to reach. My clients left sunglasses in the plane and they are already on their way. I will use you for sure again.Thanks again. You did a superb job, and the crew was first rate. We will be back. My family has flown with you dozens of times. Everything, from booking, to the flights, to the follow-up shows that you care about your customers. I would definitely recommend Stratos & have already done so. There is no way to improve on what Garett did for us in our time of personal tragedy. He responded with excellence, compassion, thoroughness etc. He went over and above for an absolute stranger in tremendous need. I can't say enough about the job he did. God bless Garett!!! Joel was great to arrange a flight for us last minute. He kept me updated through the process/flights. We would love to work with Stratos again. You did great. Garett was great, ground transportation was clean, easy and on-time and seamless. It was a good trip and I have already asked for another quote. Don't know if I will use it depending upon cost as this next one is purely personal. But I would like to. I wouldn't recommend this plane that much though. One pilot was nice the other kinda ambivalent. The temp of the plane was either hot or cold and the electrical plugs not functioning. It was transportation only. But we are so happy to all be here with the rest of the family. it was worth the effort. Service and attention was excellant. Little disapointed in the interior room. Very cramped.It would be OK for a very short flight but longer than 1 hour would need more interior room with adquate bathroom facitlies. It was great working with Joel he was involved from beginning to end in every aspect of the trip. We look forward to many trips together. Thank you. Its always a pleasure working with Stratos Jets. I work with Joel and Kerry a majority of the time and my experiences have been great. The communication is clear and we work through every scenario available to provide the right aircraft for each mission. I look forward to continued growth of our relationship together. We were so very pleased with the planning, follow up and service. Do not waste your time or money looking anywhere else. I do not think there is anything else that could have been done to make our flight enjoyable. The crew, Vincent Jordan and Nicholas Gambino, were very professional, extremely courteous and if we were to charter another flight in the future we would love having them as our crew. The Stratos Jet Charters team provides a seamless & excellent experience from beginning to end. They are a forward thinking company that puts the customer first and never disappoints with any trip or itinerary. Would absolutely recommend to anyone! Wonderful! Plan to do it again. My wife and I had no idea that such a level of GREAT service was available. I want to give you a stellar report on the plane, crew and service. The pilots were attentive, friendly, familiar with the aircraft and enthusiastic. The plane was in good shape, although the back right front facing seat has a little problem locking. That was not a big deal, and it was the only squawk we could find. The food service was also excellent. The price could not be beat. Kelley and I are looking at dates to do it again if we can get the same price. I feel the value exceeded the cost. Thank you all for what you all contributed to this being as fantastic as it was. I appreciate the concerns that you voiced to me prior to the charter, but am happy to report that the company seems to be running smoothly with reliable aircraft. I am a picky man, and was thoroughly satisfied and happy about everything involved. Thank you again, and we look forward to working with you in the future. Garret has provided excellent service and is attentive and easy to work with. The pilots on this trip were EXCEPTIONAL at dealing with our needs and providing service with the passengers needs and schedule. Very high compliments to the whole team for this flight. We were thoroughly impressed with all aspects of these operations.If at all possible, a method to protect the identity of passengers might be developed (whereby TSA rules are still met). If such a method already exists, my clients would appreciate knowing the details. I would like to be able to track aircraft on internet. I could not ask for more, I love using Stratos and will never use anyone else! Everything was very good, however, I am disappointed that I was quoted one price and was charged another. Heather was an important part of my chose in Stratos. Ricky was awesome and everything went smoothly. I will certainly use your services again should a need arise. Thank you for everything! Great experience all around. simon was great - awesome customer service mentality and communication throughout. I thought Stratos was professional and easy to work with. We didn't have any problems or communication issues whatsoever. It's really nice when we don't have to deal with 10 different people to coordinate a trip. HI Heather, I just wanted to let you know that the trip was fabulous. Everyone was especially excited about the trip to and from Florida on the jet. The pilots were very friendly and professional. We will definitely be using your service again. The G200 was the perfect aircraft for us also. Thank you again for your help in arranging such perfect transportation. Very Professional! Top notch aircraft and crew. Will certainly be using Stratos in the future!! Pricing to be competitive with Marquis etc. Understand how engine performance affects the reliability of your flight itinerary.